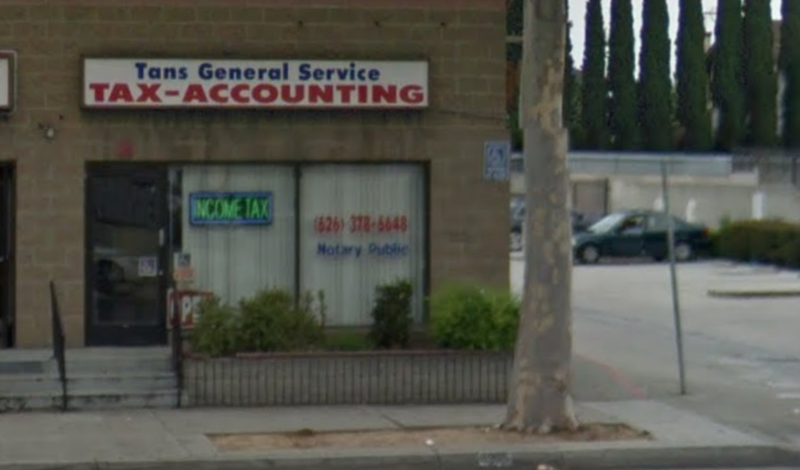 Tans Income Tax Service (Tans General Service, Inc.) is a tax office located in Rosemead, CA. We specialize in many services including: income tax, sales tax, bookkeeping, payroll, notary public, immigration services, and more. Our services are available by appointment and walk-in.